The Department of Justice is waging a long-running campaign to silence members and supporters of a controversial motorcycle club from expressing their affinity with the club by displaying its logo . This relentless attack should trouble anyone who cares about the freedoms of speech and association. In a filing  Friday, we’re telling a federal court how the First Amendment prohibits the government from banning symbols, no matter what they represent. After members were indicted, the Justice Department obtained a pretrial order authorizing confiscation of items bearing the Mongols' logo. The U.S. attorney in Los Angeles declared  that any officer who saw any club member “wearing his patch” could “literally take the jacket right off his back.” Officers did just that, confiscating jackets, belts, shirts, and other items displaying all or part of the logo from club members and supporters — even though they were not charged with any crime. Representing a club member, the ACLU of San Diego & Imperial Counties halted this campaign of censorship in its tracks. The court ruled that the government had no right to seek forfeiture of the trademarks because they belonged to the club, not any individual member. The court’s rulings  also schooled the government in bedrock principles of trademark and First Amendment law, calling the government’s theory “creative to a fault.” Whatever crimes certain club members may have committed, the government misused its power when it violated the rights of others to express their identity as club members or supporters. Even if the government could take those rights, they confer no power to confiscate items bearing the trademark. A trademark does not confer an absolute right to prohibit all use of the mark. It only authorizes the holder to prevent purely commercial use of the trademark that creates confusion as to the origin of goods or services. That’s why the Campbell’s Soup Company couldn’t prevent Andy Warhol from painting images of Campbell’s Soup cans and Mattel can’t prohibit Danish-Norwegian dance-pop group Aqua from singing “Barbie Girl”  or stop an artist from photographing Barbie dolls . 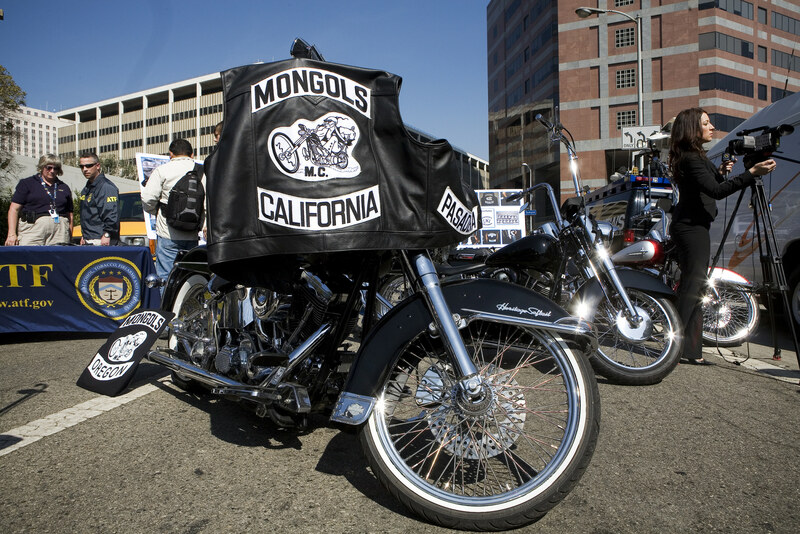 Likewise, the government could not legally prevent an individual from expressing support for the Mongols Motorcycle Club — or opposition to abuse of power — by wearing its logo. Ignoring those principles, the government indicted the Mongols Motorcycle Club in 2013 for RICO violations, again seeking forfeiture of the club’s trademarks and threatening to confiscate items bearing the logo from members and supporters of the club. As we explain in our friend-of-the-court brief , the government’s attack on free expression remains no less illegal and unconstitutional now than when it began over 10 years ago. Neither the RICO forfeiture statute nor trademark law authorize the government’s unprecedented attack on speech, which violates foundational First Amendment principles. Given the broad sweep of the RICO statute and corresponding abuse of forfeiture powers , the government’s novel theory threatens to set a dangerous precedent for silencing controversial or unpopular groups. History has shown that the first victim of censorship is never the last.